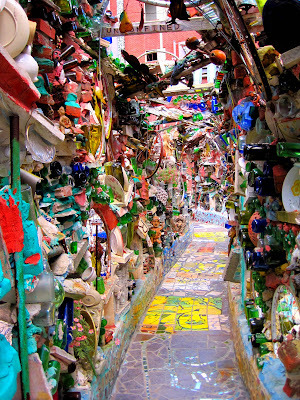 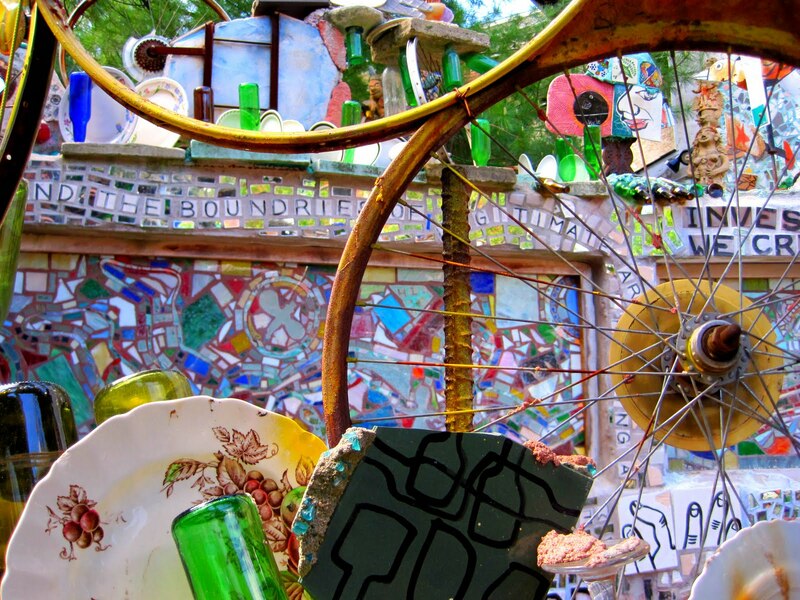 The Magic Gardens in Philadelphia was a project started by Isaiah Zagar in 1994. 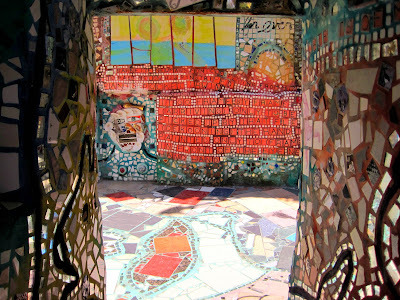 After traveling to Peru with the peace corp he felt a canvas was too confining, and sought to create a mosaic labyrinth to pay tribute to Peruvian folk art. This is what he created. "In 2002, the Boston-based owner of the once-vacant lot located at 1022-1026 South Street decided to sell the land in response to rising South Street property values. 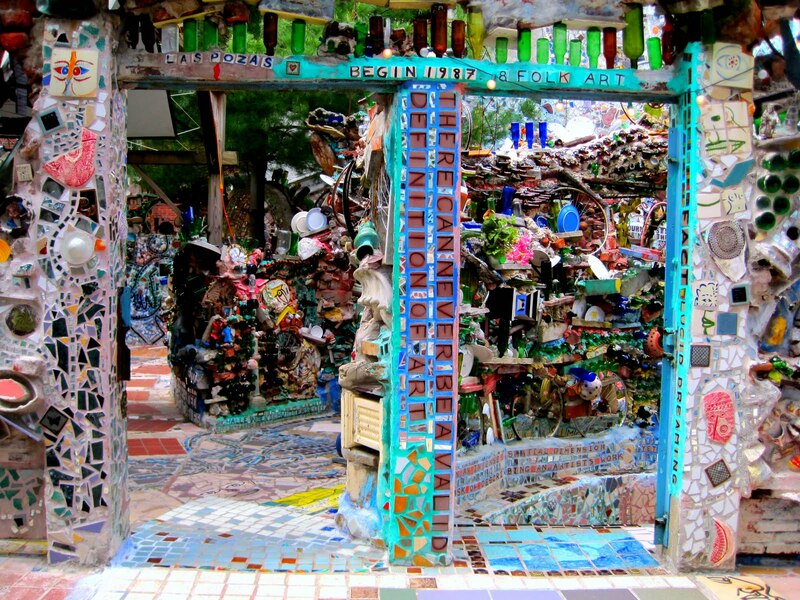 Unwilling to witness the destruction of Zagar's neighborhood art environment, the community rushed to support the artist. His creation, newly titled Philadelphia's Magic Gardens, became incorporated as a nonprofit organization with the intention of preserving and promoting Zagar's works at the site of the Magic Gardens and throughout the South Street region."